127 Diabetic Recipes for Your Instant Pot—from the New York Times bestselling Fix-It and Forget-It Series! Meal planning can be tough when you or someone in your family has diabetes. 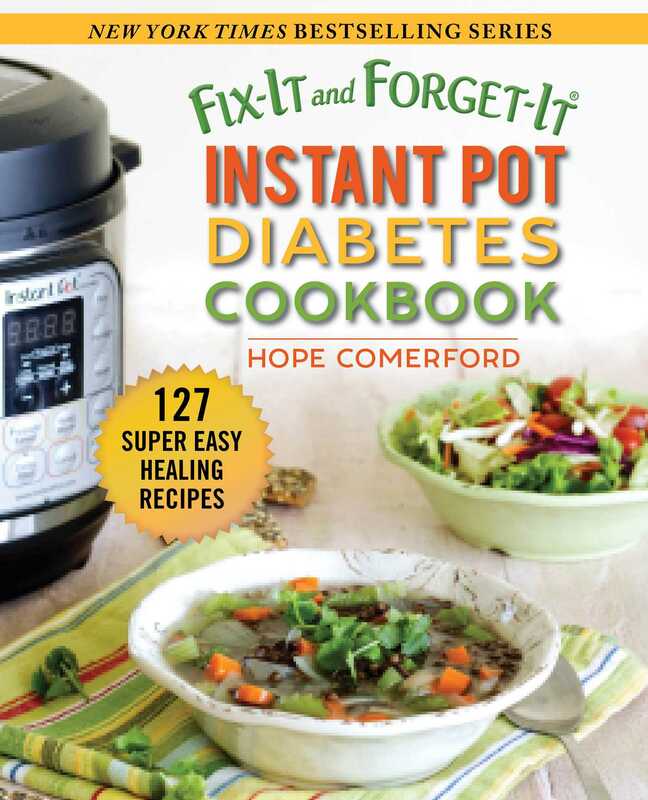 Fix-It and Forget-it Instant Pot Diabetes Cookbook is here to help! Here are 127 easy-to-prepare recipes that you can mix and match to make your breakfasts, lunches, dinners, snacks, and desserts a snap! You want to put a delicious meal on the table for your family without worrying whether it’s going to fit your dietary needs—and certainly without spending hours in the kitchen—or in the grocery store searching for exotic ingredients. Complete with nutrition information for each recipe, Fix-It and Forget-it Instant Pot Diabetes Cookbook is filled with comfort food that you can pull together in a hurry when unexpected company arrives, when you’re going to a potluck, or anytime you’re busy (which is pretty much every day, am I right?). With full-color photos throughout, this is the everyday cookbook you will return to again and again.